“Kulsin” Koolseen was Tagish Charlie’s youngest brother. 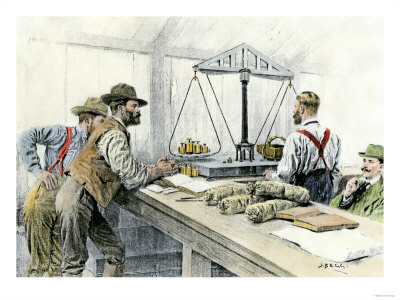 He was with George Carmack when the gold was discovered in the Klondike. He was the only original member of the Discovery Party (although he was back at camp at the time of actual discovery) to record the history of the discovery on tape. As a young man, he wanted a white man’s name, so Carmacks gave him one: Patsy Henderson. He was born in 1879 maybe in Tagish and worked for White Pass as a storyteller in Carcross. He also had a fox ranch in Carcross. In 1950 he wrote “Early days at Caribou Crossing and the Discover of Gold on the Klondike”. 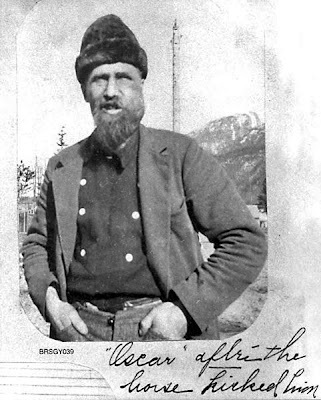 He died in 1966 and is buried in the Carcross Cemetery. So, on Thursday we had an election to decide whether to ban smoking in Skagway. It passed overwhelmingly as similar such elections have passed in other Alaskan towns. More people turned out to vote than in any other past election to anyone’s memory. So, now you cannot smoke in buildings that employ people or in any government facility, or within ten feet of any doorway or window of such. You can still smoke in your car or in the privacy of your home. So far “No Smoking” signs have not popped up, but they will I’m sure. 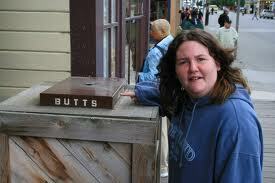 The city’s trash cans still have little ashtrays on top labeled “Butts” which I always thought just encouraged people to stand next to them and light up. In case you wondered, yes, there have been little fires that have started on and under the boardwalks and in the flower planter boxes. So perhaps this will prevent any fires in downtown. Tlingit legend Gonakadeit is the Sea-Wolf pictured above. Gunakadeit is based on a story told by Katishan, chief of the Kaasx’agweid of Wrangell, to ethnographer John Swanton in 1904. It was published in “Tlingit Myths and Texts” in 1909. The story chronicles a man who turns into a sea monster. This creature, who is part wolf, part whale, figures in numerous folk tales about a young man who uses the skin of a sea creature for night fishing; he is caught by a pair of whales who punish his deception by transforming him into a creature of the sea. While in some stories he brings prosperity and good luck to a village in crisis, in other stories he is an evil sea creature that comes up in the fog to drag unsuspecting visitors in small boats down to the bottom of the sea. On days when the dragon’s breath covers the inlet, I often think of Gonakadeit and the poor souls over the years who have drowned out there. When I worked at White Pass I saw in the vault a very old map of town that showed the areas that flooded in 1912, I think. 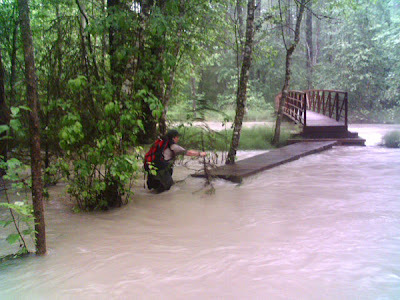 I saw that the creek overflowed and so did the Skagway River, but there were certain houses that did not flood. It was then that the river took out part of the Gold Rush Cemetery. Many graves were washed away and people did not replace the headstones or headboards. When you look at it today you will see a definite earthen bench where it is nearest the railroad tracks. I believe that in that section there were more babies buried, as I know of one, whose descendant in town here told me about. The other graves in that lower section are of babies, so that is my conjecture. The scene above is from the lower Chilkoot Trail July 14, 2003… Yikes, that’s cold! 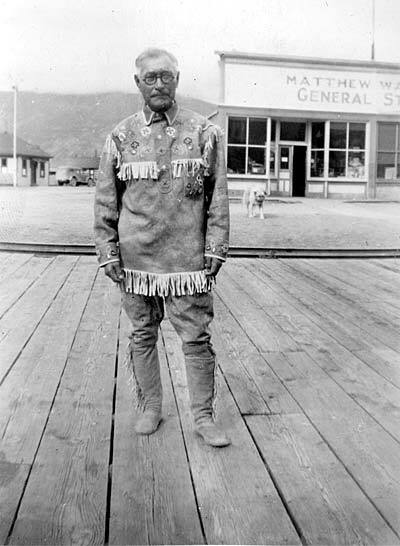 Skookum Jim Mason, or Keish was born in 1856 near Lake Bennett to Gus’duteen and Kaachgaaawaa. He was married to Mary (1874-1927). 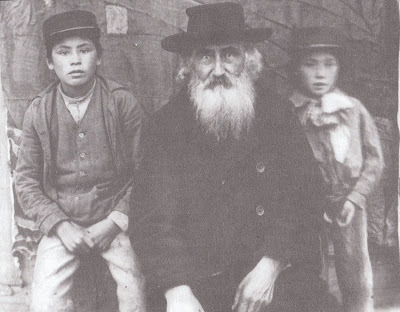 He is credited as the co-discoverer of the gold find at Bonanza Creek that unleashed the Klondike Gold Rush. Keish meant “Lone Wolf” but he was dubbed “Skookum (the Chinook term for strong) Jim” for his feat of carrying 156 pounds of bacon over the pass in a single trip. In 1887 Skookum Jim Mason guided Captain Moore over a secret pass, an easier route to the interior that would later be named White Pass. Skookum Jim built a large house for his wife and daughter in Carcross where he spent his winters hunting and trapping, and each spring he returned to the Klondike. Highly regarded by his people, Skookum Jim was known as a generous family man. 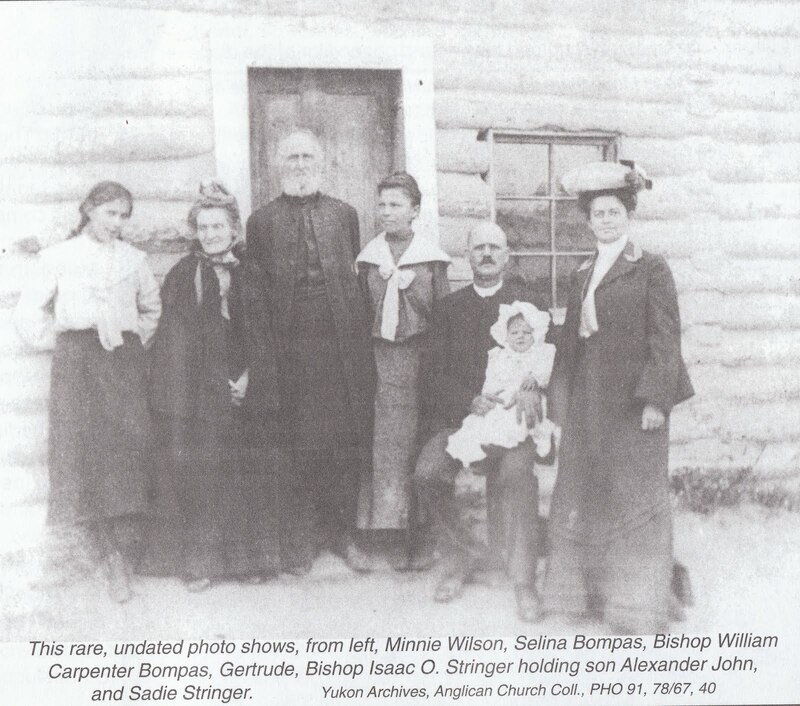 He had the foresight to place what remained of his fortune in trust, and when he died in 1916 he left a substantial sum in trust for the benefit of Yukon Indians. For his role, Skookum Jim Mason was designated a Person of National Historic Significance and he is an inductee in the Canadian Mining Hall of Fame. 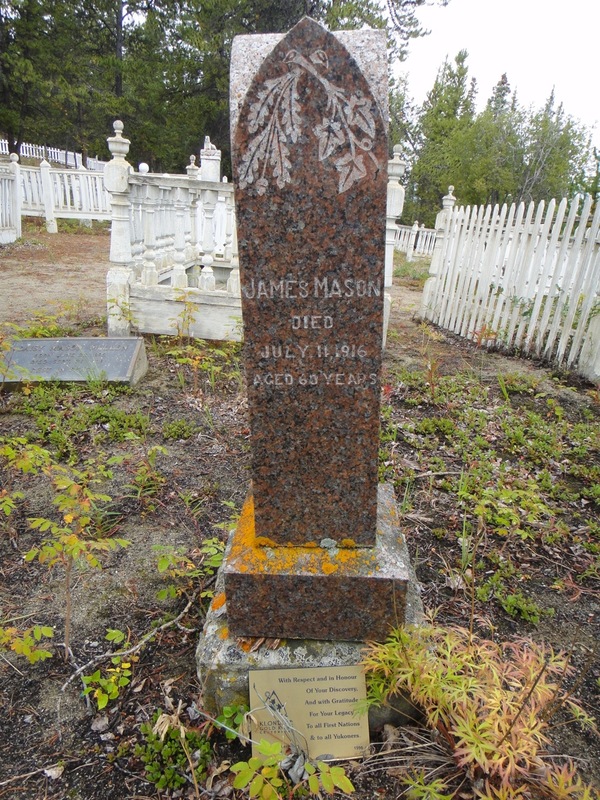 He died in 1916 of a kidney ailment and is buried in the Carcross Cemetery. Yeil Saagi Yelidoogu Xoonk’I Eesh. 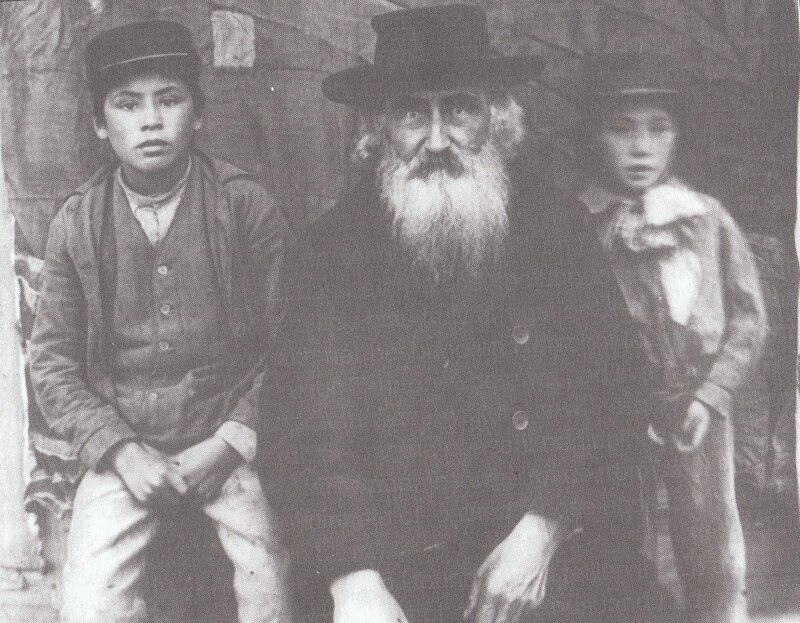 His mother was Nadagaat Tlaa Kaachgaawaa who was sister to Kate Shaaw Tlaa Mason (Mrs. George Carmacks). 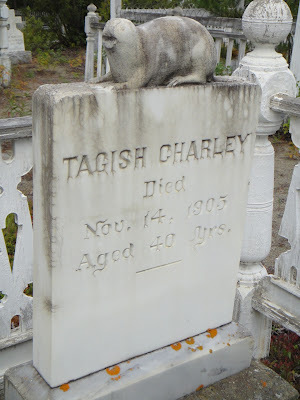 Tagish Charley’s wife, also named Nadagaat froze to death in a blizzard on the Chilkoot Pass with her infant in 1890, while her husband was leading a party on the trail. Charley was born about 1865 in Tagish. He guided early parties but was not involved in the discovery of gold. 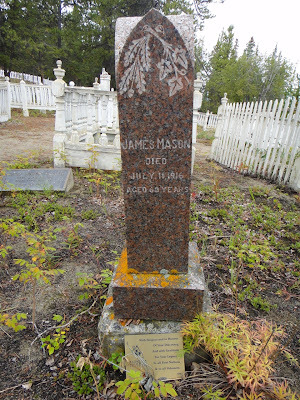 He drowned in Carcross on November 14, 1905 and is buried in Carcross, his headstone shows him to be of the beaver clan.